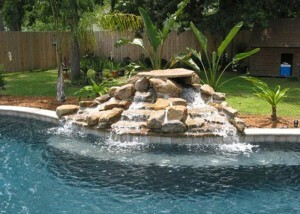 Add a soothing waterfall to your pool. 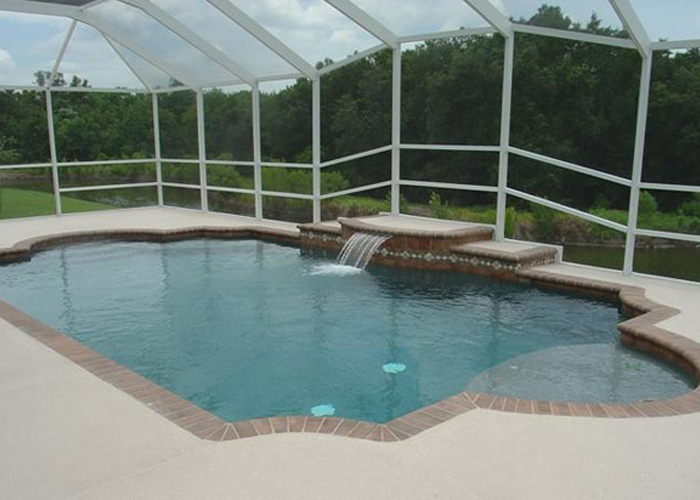 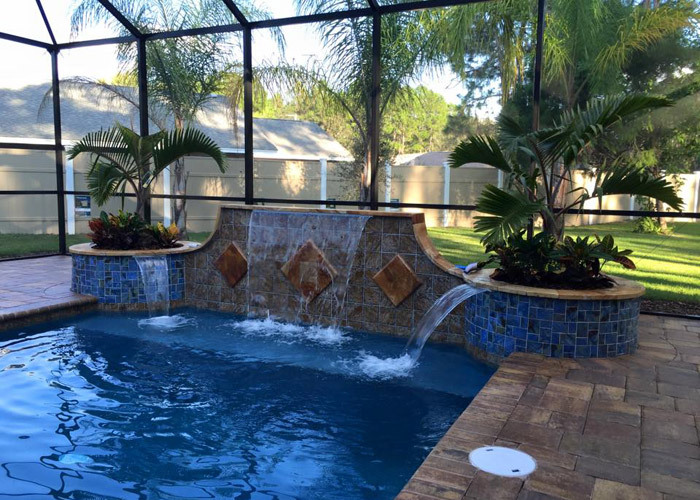 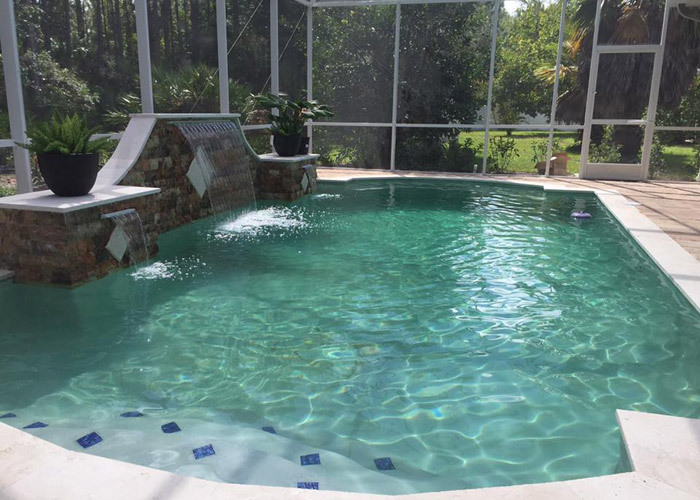 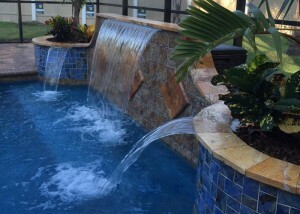 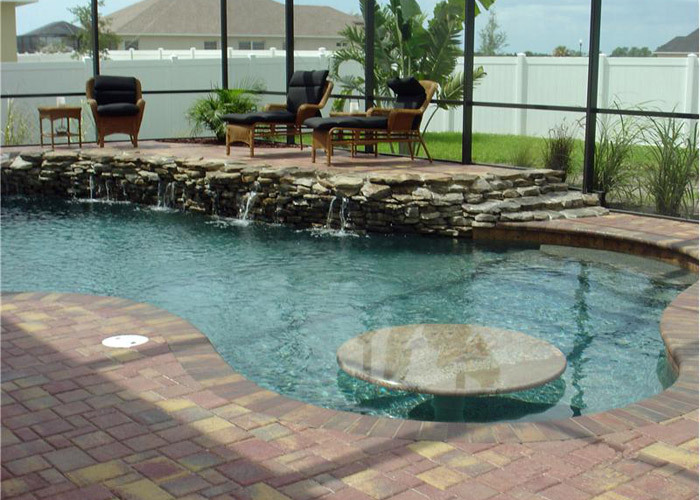 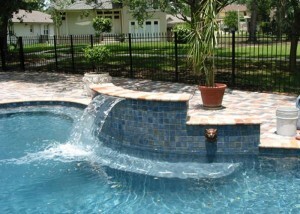 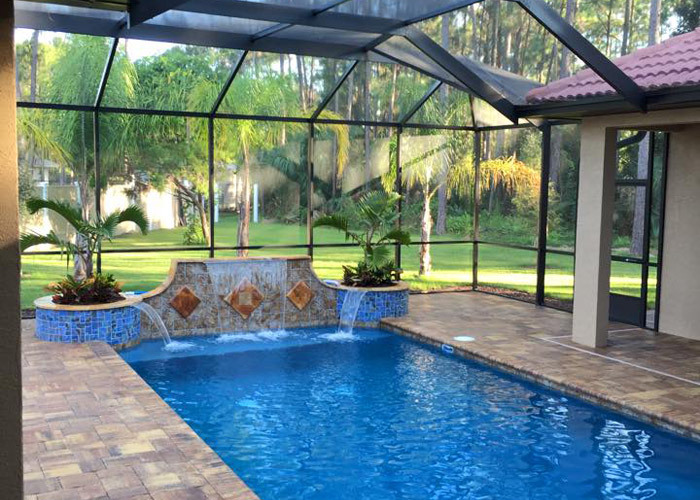 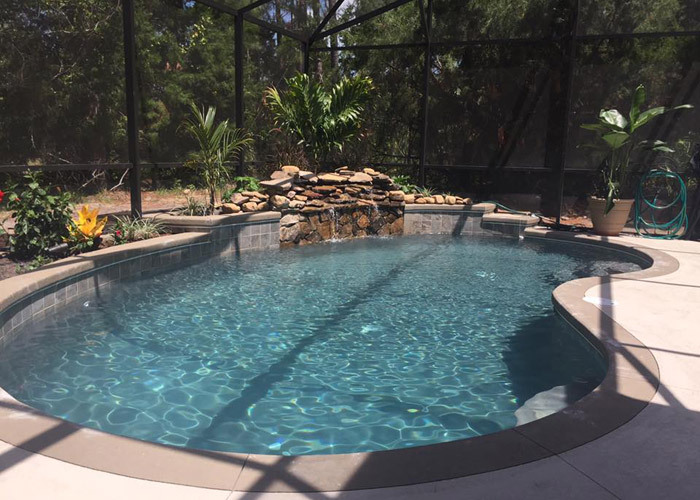 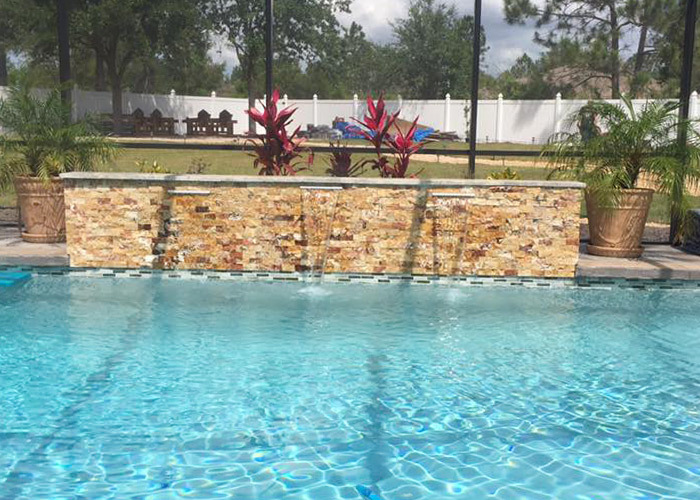 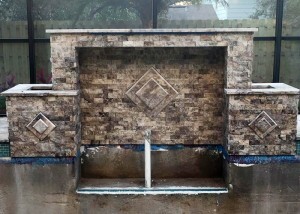 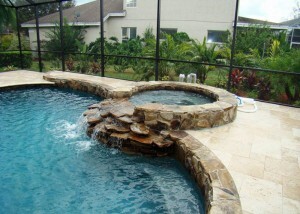 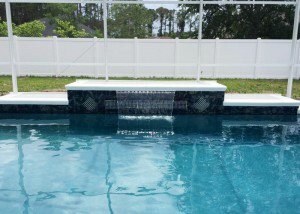 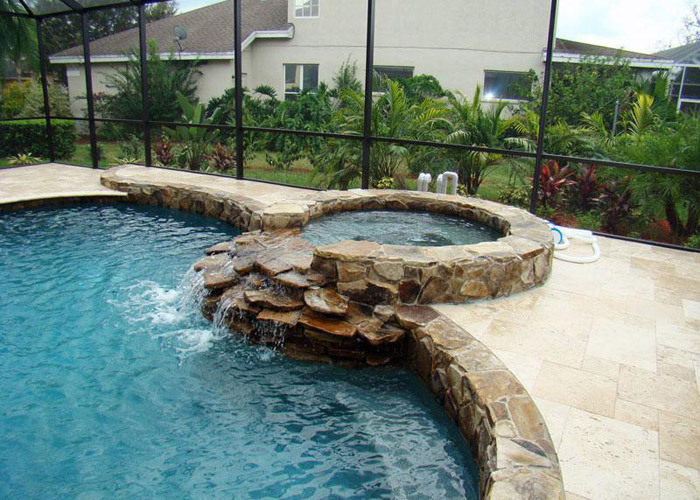 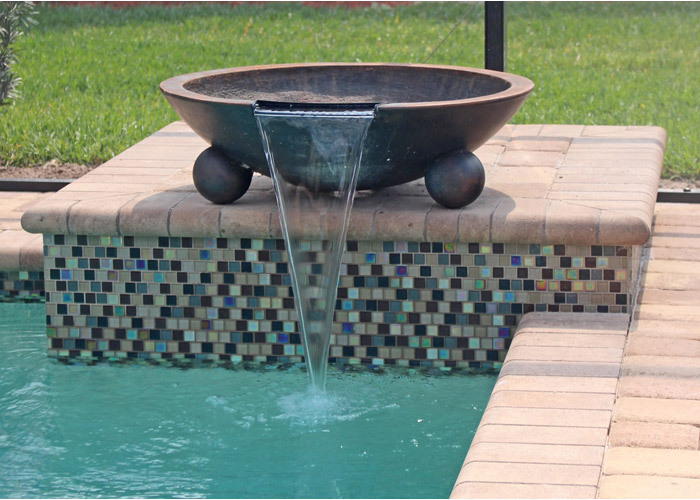 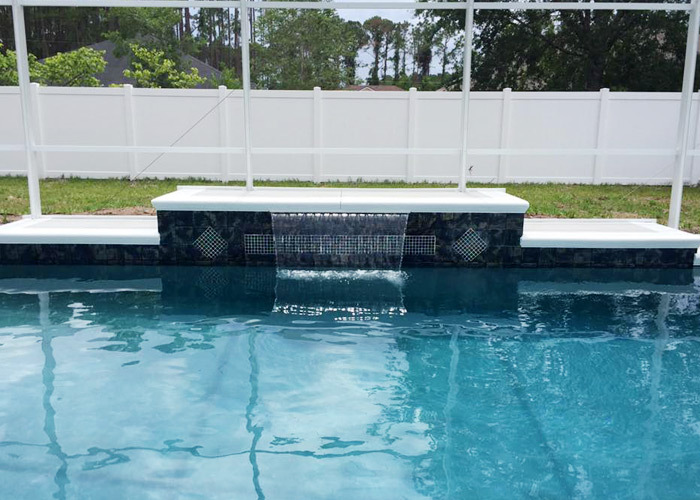 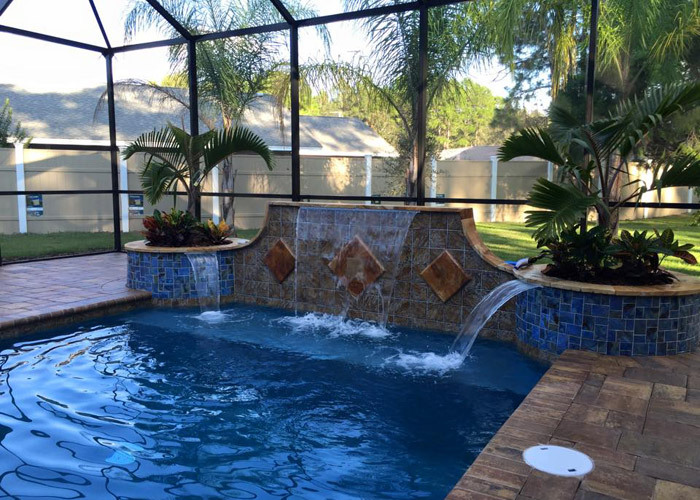 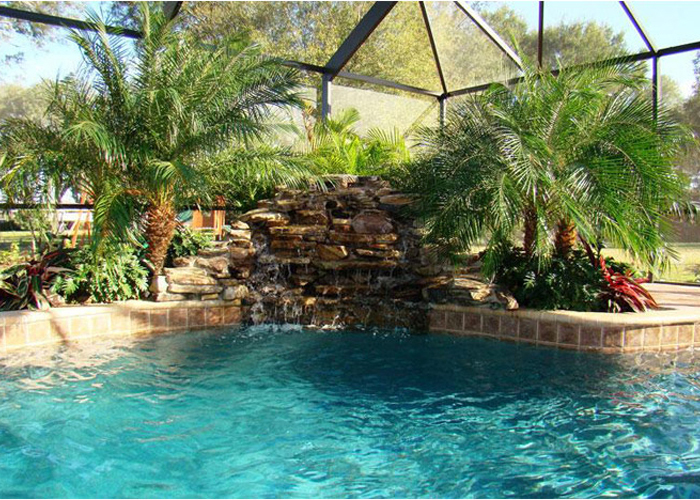 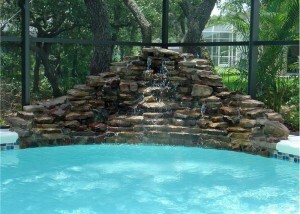 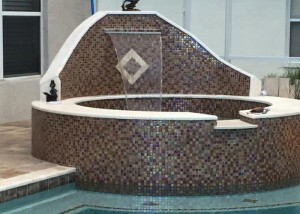 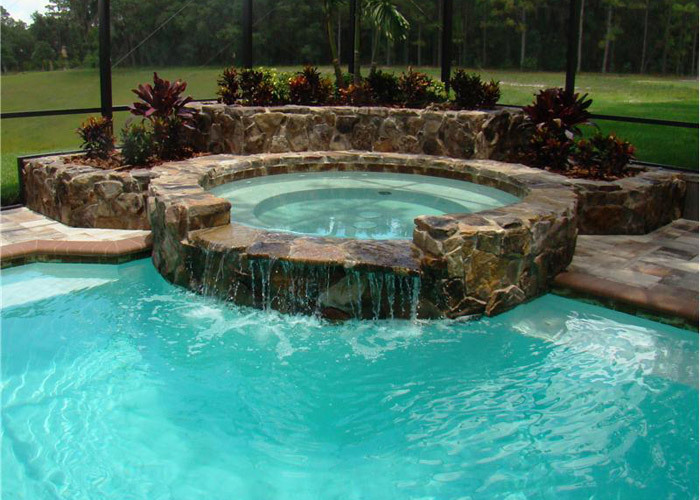 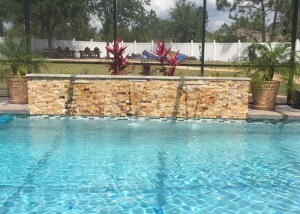 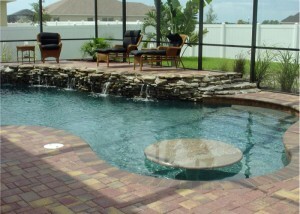 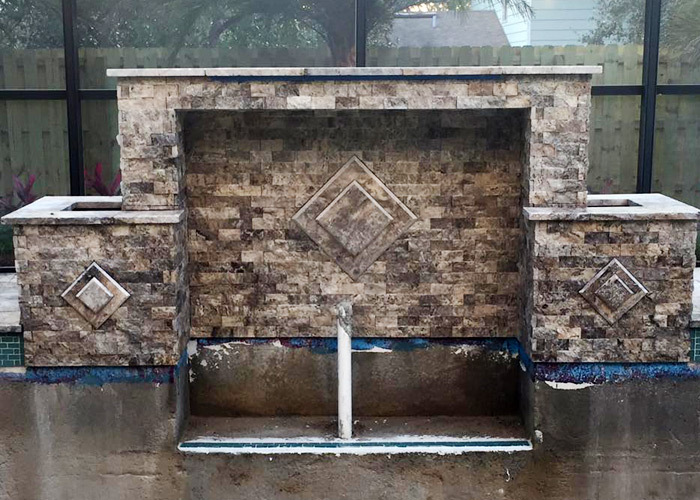 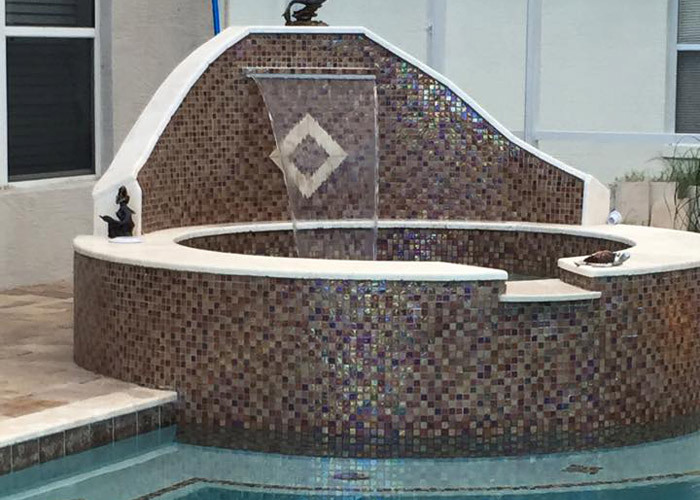 Rock or tile waterfalls add a natural element to your swimming pool. They are adjustable so you can create a small trickle of water or a roaring river. 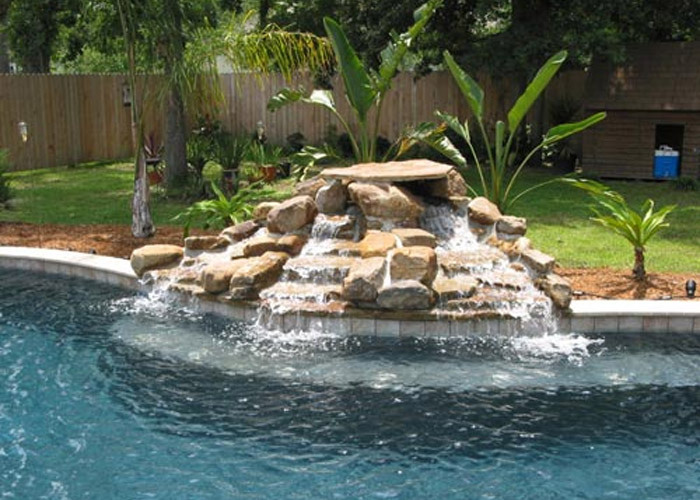 To complete the look of your backyard oasis, you can add planters and foliage.